Hello friends! Today I’m sharing 4 handmade cards that I made using the February 2019 Hip Kits. I used bits and pieces from all the kits: Main kit, Embellishment kit, Project Life kit, Color kit, & cardstock kit. I love making handmade cards, so I was especially excited to dig into these kits. There are so many goodies here that are perfect for both scrapbooking and card making. I made all the card bases using the cardstock from the kit. I made them A2 sized, so folded, they measure 5 1/2″ x 4 1/4″. For my first card, I made a XOXO shaker card. I used one of the February subscriber cut files called candy hearts, and I cut it from white cardstock. I used the Prima opal magic paints from the color kits to color the jar and hearts. I used some sequins (from a past kit), acetate, and foam tape to make my shaker. I backed it with one of the pattern papers from theMain kit. To embellish the front of the card, I used a Crate Paper shaker heart, a wood flair button and enamel dots from Pinkfresh Studio. For my next card, I made a happy card that works for any occasion. I used the cut apart pattern paper from Carta Bella for the background floral piece, as well as the flower pot sentiment piece, which I cut into a tag. I embellished it with Pinkfresh Studio flowers and a Carta Bella brad. This card was the easiest and fasted to make, but I might love it the most because of those gorgeous painted flowers! For my third card, I made a Valentines card. I used a February freebie cut file called Hearts Background 2, and I cut it from white cardstock. I adhered the cut file with foam squares to one of the pattern papers in the kit. I added the Crate Paper stickers, the Valentine’s heart and the So Sweet banner, as well as the wreath and enamel dots from Pinkfresh Studio. For my last card, I made a card that would be perfect to send encouragement. I used one of the exclusive PL cards, and I die cut a large circle. I adhered it with foam tape to add dimension. For the main focus, I used this cute truck chipboard sticker from Carta Bella. I added some florals and banners from Pinkfresh Studio, as well as some brads from Carta Bella. To finish off the card, I added some Prima opal magic paint splatters. I love how my cards turned out, and I really hope you like my cards as well. Don’t forget to check out the awesome February kits, as well as the free cut files! Hey friends! I’m here with a layout that I shared on the Hip Kit Club FB page yesterday for Sketch Friday. I actually designed the sketch for this week, so it was extra fun working on my layout. I have a process video of the layout as well on my YT channel if you’re interested! I am using the Hip Kit Club January 2019 Main Kit, and a few pieces from the Color Kit, Project Life Kit, and Embellishment Kit. We had family photos taken almost 2 years ago, and I’m finally getting the photo scrapped. As I’ve mentioned in a couple of blog posts now, I am playing catch-up, and am trying to fill the empty spots in my albums. I divided my layout in half like the sketch, but instead of having a photo take up the whole left side, I used some pattern paper. I ripped the paper and added machine stitching for some texture. I still used a large photo on that side (5×7), and I like that I was able to use a photo that I already had printed. I also made some more of the layered stitched hearts that I have been loving and used many times on past layouts. I used the Hero Arts Nesting Hearts Infinity dies, and some of the pattern papers from the Main kit. Like the sketch, I added some large ink splatters. I used a Shimmerz vibez called Snow Way Man from a previous Color kit, and I used the Prima Color Bloom shimmer spray in Fairy Pond. I also used the small star cluster stamp from the Shimelle Head in the Clouds stamp set. I placed the title and journaling like the sketch as well; both are Pinkfresh Studio products. I love when the titles come together easily, thanks to stickers. I really like how my layout turned out. I’m so thrilled to fill another empty spot in my album! To participate in the sketch challenge for your chance to win a GC to the HKC store, please visit the Hip Kit Club Group FB page. Thanks for stopping by, and Happy Saturday! Hello friends! Today, I’m sharing a layout I created for the Hip Kit Club blog. I was challenged to use only the January 2019 Main kit, as well as make a monochromatic layout. I looked through the kits to look for a recurring color, and I chose pink. I decided to get out my heart dies, and die cut hearts from the different pink pattern papers in the kit. Layered, stitched heart embellishments are my favorite to make; you’ve seen me add them to my layouts many times before, and of course I had to add them to this layout as well. I am documenting the “cake smash” for my daughter when she turned one. As written in my journaling, she did not like getting her hands dirty, and there was no smashing, haha! As I mentioned in a couple of previous blog posts, I am trying to check off my “to-scrap” list. I really love this photo, and I’m so glad I finally got it scrapped! First, I decided to add some pink stripes to my layout. I used the Vicki Boutin paint that we got in a previous color kit. Once dry, I lined up some of the hearts that I die cut, and added some machine stitching. I added a few hearts with foam squares, so I could create some dimension. Next, I got out my border punches, and punched some strips from the pattern paper. I also added some splatters (Shimmerz cotton candy, and Heidi Swapp gold color shine from previous color kits). I found a spot for my photo, and added some embellishments around it. The flower, date tag, and phrase sticker are from the Pinkfresh Studio ephemera pack. The bow is from the chipboard frames, and of course I added one of my layered hearts. Next, I decided to add my photo. I have to admit that I cheated a little bit, because I wanted to stick to the pink monochromatic layout, and used the mini puffy alphas that were included in the November 2018 Project Life kit. I added the word “smash” to a Pinkfresh Studio label. I decided to make my own alphas for the “cake” part of my title, so I added some more of the Shimmerz cotton candy onto a scrap piece of white cardstock. Once dry, I had drew the letters, then fussy cut them out, and I have to say, I really like the way it turned out! I added some journaling strips between the stripes and hearts. I also added another layered heart, and a circle label, with the letter R, to the top of the layout. I really hope you love my project. I am overjoyed with how it came out! I’m on the Pinkfresh Studio blog today with 2 layouts to share with you using the new Pinkfresh Studio collection called Everyday Musings. You can head over there for a little more info and photos! I am kind of playing catch up over here. At the beginning of the year, I sort and put away all the layouts that I’ve made into their respective albums. It’s a good time for me to see what layouts I’m missing. I make a list of “need to scrap” layouts, and I try to tackle them when I can throughout the year. Do you guys do this as well? Lets face it though, I’m perpetually behind, lol! I did get 2 items checked off the list, and they are both from my middle daughter’s album. I really wanted to use the chipboard frames from the collection, and a layout with several photos is perfect! I adhered the frames directly on to the photos, and then trimmed the photos. I backed a couple of the frames from pattern paper. I used the Time for Fun & Good Times pattern papers. On a piece of white cardstock, I used a star stencil from my stash, and used a little bit of glimmer paste to add some texture to the background. Then I watered down some of the Pinkfresh Studio watercolors (I used the colors bubble gum & sky blue) to add some color and splatters to my layout. Once dry, I fiddled around with the frames until I had them arranged the way I liked. Once all the frames were adhered, I added added some embellishments, the flowers and shine on tag from the ephemera pack, hearts and a pink bird from the puffy stickers, and a layered heart sticker. These layered heart stickers may be my favorite thing from the collection! I love them! I just switched the sentiment and the heart to match the color scheme. Next I added my title using a combination of the Puffy alpha, and the mini puffy alphas. I decided to mat my layout, so I trimmed a little off each side of the white cardstock, and adhered it to the Small Things pattern paper. I added some machine stitching, and then adhered my journaling strips. For my next layout, I documented my daughter’s Elementary school award ceremony. We are so proud of her! I really love all the patterns in the paper pack of this collection, and I wanted to highlight them. I decided to make a layout full of wonky paper strips. First, I splattered some watered down water color (same colors as my first layout) onto a piece of white cardstock. Then I arranged the strips of pattern paper, until I liked the way it looked. I adhered them lightly, then added some machine and hand stitching. I layered the photo on one of the pattern papers, then adhered it on top of the paper strips with foam tape. I embellished around the photo with a layered heart, and some flowers from the ephemera pack. Next I added my “happy heart” title from the gold foil puffy stickers, and added 3 gold hearts as well. I finished off the layout with journaling strips, and my layout was done! I really love the way this one turned out as well. 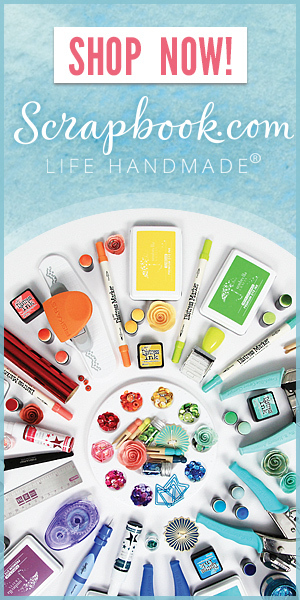 The Everyday Musings collection is so colorful and versatile, you can create any layout! I love it, and I hope you’ll check it out! Hello everyone! Today I’m sharing a layout I made for the Hip Kit Club sketch Friday blog! If you’d like to participate, and have a chance to win a $10 gift card to the Hip Kit Club store, make sure you check out the Hip Kit Club Group Facebook page for all the details! At the beginning of the year, I sort and put away all the layouts that I have made into their respective albums. I have family albums, and albums dedicated to each of my 3 girls. I also take the time to see what layouts I’m missing. One of the holes I needed to fill was a Halloween layout from a few years ago for my middle daughter. She went as Snow White, and some of the colors in the January kits were perfect! I am using the January 2019 Main kit, and the Embellishment kit. I am also using a piece from the January HKC subscriber printable, which you can find on the Hip Kit Club website under the cut file tab. Like the sketch, I used 2 photos. I added a big title to the left of the larger photo, and I added embellishments around the photos. I knew I wanted to add some color, so I decided to add 3 paper strips to my layout. I added some machine stitching, and distressed the edges just a little bit. The pops of red and blue coordinate perfectly with my daughter’s costume. I also added a few flicks of ink splatters (I used a shimmerz vibes in frostbite that we got from a previous kit). I chose the gold leaf die cuts, because they were similar to the ones in the sketch, but for the other embellishments, I choose them based on color, and theme to fit my daughter’s costume. All the blue elements were perfect! I also love the layered heart stickers from Pinkfresh Studio. I wanted to use the SMILE sentiment, but it was on a heart that was the wrong color for my layout, so I simply switched it to a blue heart. The floral arrangement in a cup is from the January printable available to subscribers; the colors were perfect, and I love that little journaling spot on the teacup! I chose to print and cut with my silhouette machine, but you could totally print it out, then fussy cut! I really love how this one turned out, and I hope you like it too. I love the pops of color, yet love the white space to the left even more…totally my style! Do you guys sort through your albums at the beginning of the year? Do you try and fill any holes like I do? I make a list of “need to scrap,” layouts, and I’ve got quite a few holes to fill, but I’m glad I got one done!